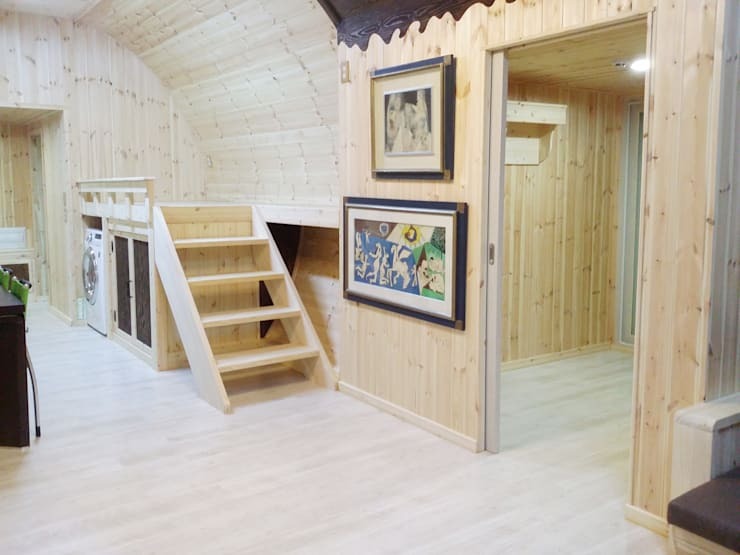 A hobbit's life seems an enviable one indeed: that idyllic countryside setting, those innocent, fun-filled parties, and of course the adorable underground eco-homes that offer a cosy refuge at the end of each lovely day. A blocky glass structure sits unexpectectedly in the centre of a curvy grass-coloured building designed to blend into its environment. As jarring as this out-of-place part of the home may initially seem, a closer look soon reveals that this is in fact entirely in keeping with the spirit of this design. 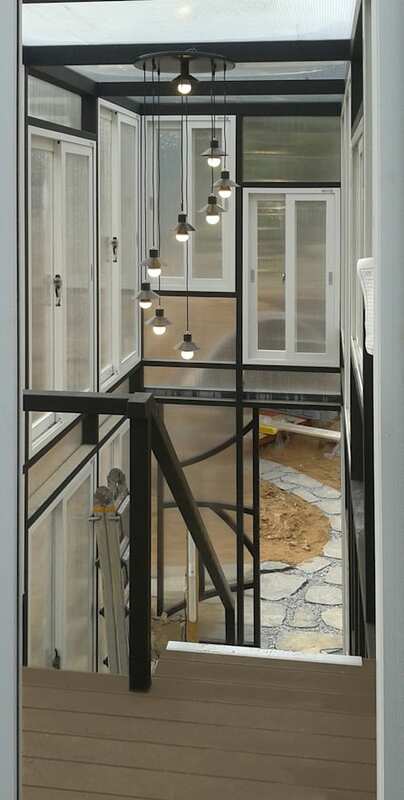 The glass section is in fact a greenhouse, which, unusually for a greenhouse, can be entered directly from the main body of the home itself. This makes sense in a setting in which plants and nature have clearly been given high priority. 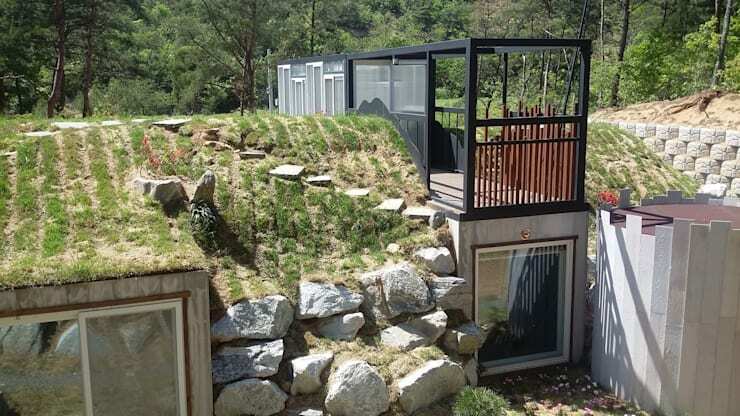 On the right-hand side of the photo, another outbuilding is more carefully concealed beneath a grass roof, mirroring the design of the style of the house itself. The kitchen window emerges from what appears to be a hillside behind it (of course, this bump is really the house). This shot is a good one for demonstrating the thoughtful union of nature and civilisation that this house represents. The designers behind this project may feel a kind of nostalgia for the type of closeness between man and the natural world that has diminished as technology has improved and urbanisation has spread. 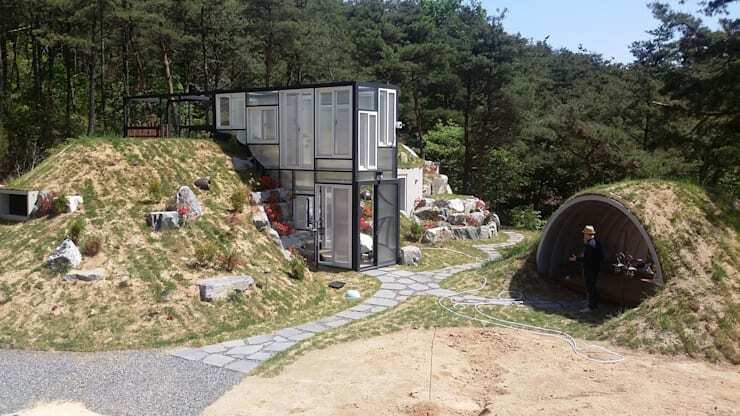 This house appears to say that people (or some people, at least) are now ready to rediscover that link with nature, but are doing so on their own terms, and with all the perks that contemporary technology affords. A lot of people might agree that there is a certain appeal in the idea of giving everything up and going to live in a cave… but nowadays, they might expect that cave to be glazed and heated. One thing that this house seems to suffer from no shortage of is outdoor space. Not only is there are that wonderful green space surround it, there is also a veranda built into the greenhouse, as this photo shows. This lovely spiral of nearly fully-exposed light bulbs, topped by tiny, hat-like lampshades, is evidence that greenhouses can be stylish and elegant, in spite of popular perceptions that they are functional spaces only. 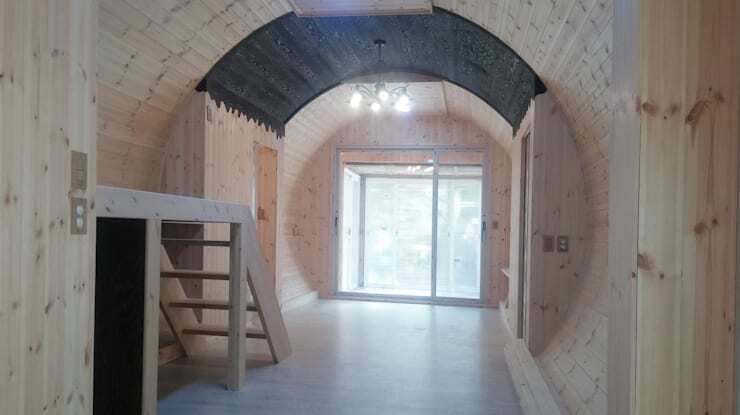 Inside the house, a wonderfully cosy atmosphere has been created by keeping the walls and ceiling curved, like a tunnel within a rabbit's burrow. This is an endearing quirk that makes the design seem simultaneously comfortable and edgy. 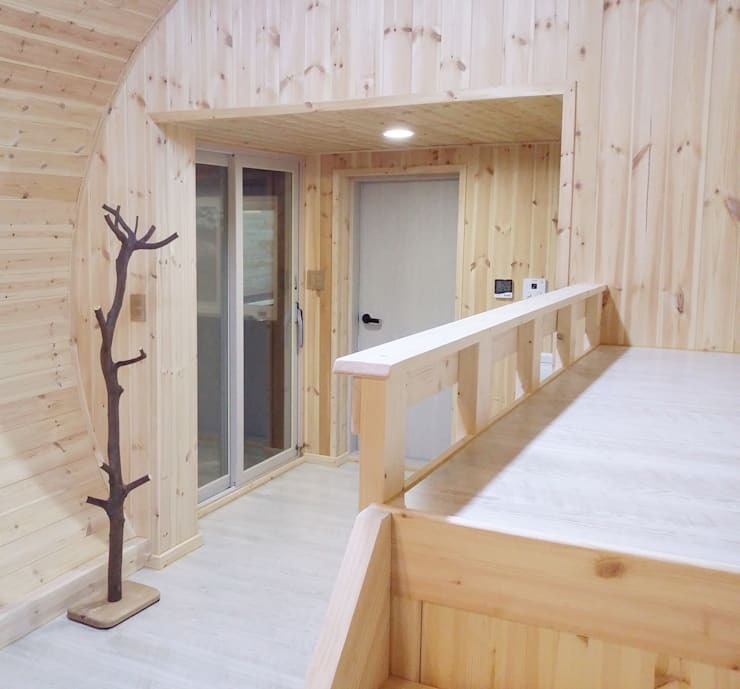 You would probably expect that the inside of a home like this one might make a bit of a feature of wood, but the commitment to the material seen here goes far beyond that expectation. More or less every surface in the home is wooden, including ceilings, walls and floors; and yet the place doesn't seem at all stuffy or old-fashioned. The key when using such a great quantity of wood is to keep the shades chosen fairly light, which—as we can see from this example—brings a real sense of the modern to the interior. When designing a fairly compact home, building certain elements into the interior can help make the most of the space provided. The sweet bed platform seen here is a good example of this, fitting perfectly into the room while adding more character than a traditional bed frame might. 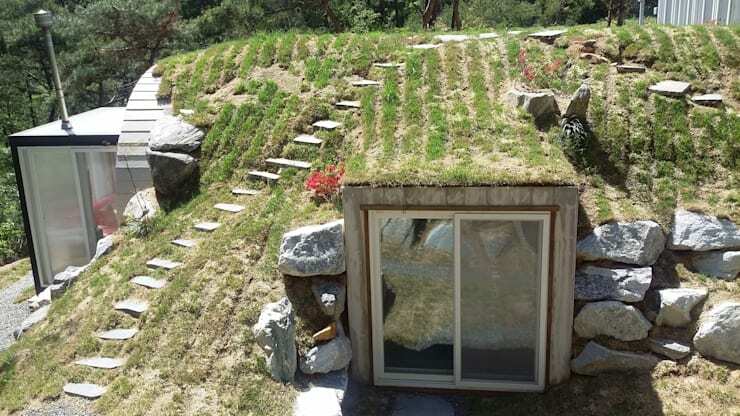 What do you think of this and other underground home designs? Share your thoughts here!